This Saturday, February 2, Arts at Michigan will be taking a group of students on a trip to the Stranahan Theater in Toledo, Ohio to see a matinee performance of the Broadway musical Evita for just $20! Centered around the life story of beloved Argentinian First Lady Eva Perón, the musical features a Grammy Award-winning sound track by Andrew Lloyd Webber with songs like “Don’t Cry for Me Argentina.” The musical itself was awarded several Tony Awards, including Best Musical and Best Original Soundtrack. 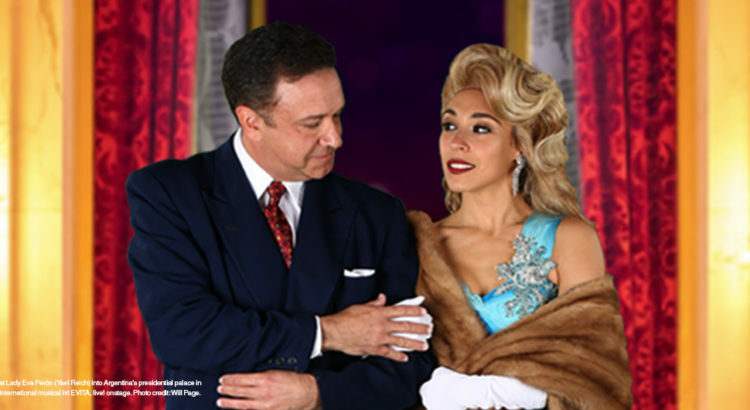 For more information on Evita at the Stranahan theater, click here. To learn more about Arts at Michigan’s Art Outta Town program, visit their website at http://artsatmichigan.umich.edu/programs/outta/.